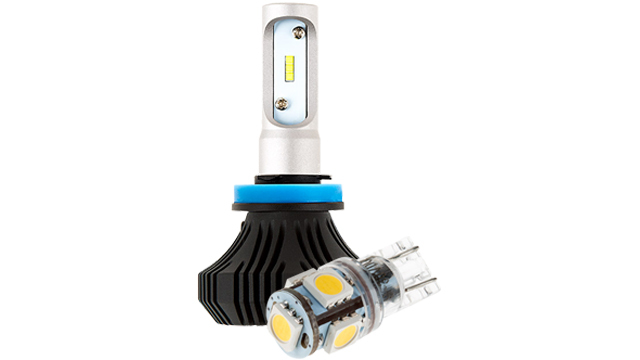 LED replacement bulbs are perfect for vehicle reverse lights, trunk lights and hood lights. 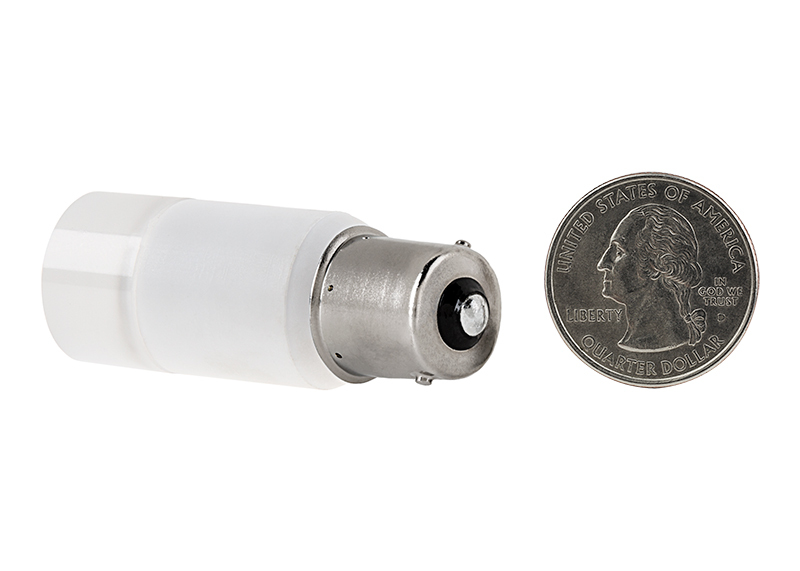 This 1156 single-contact bulb has 3 SMD LEDs. 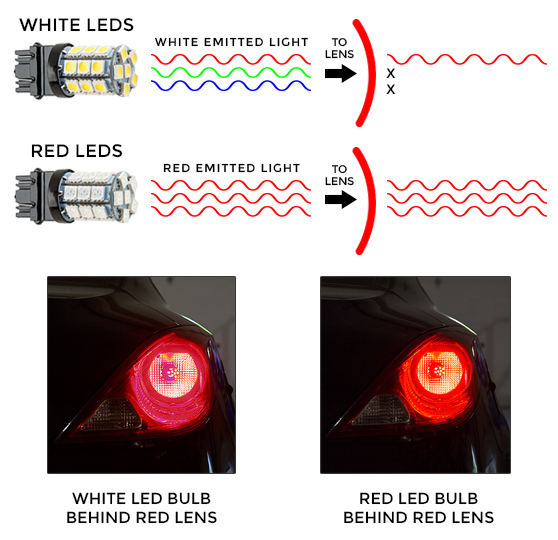 The diffused lens creates a 360° viewing angle for better, allover light emission with no hot spots. 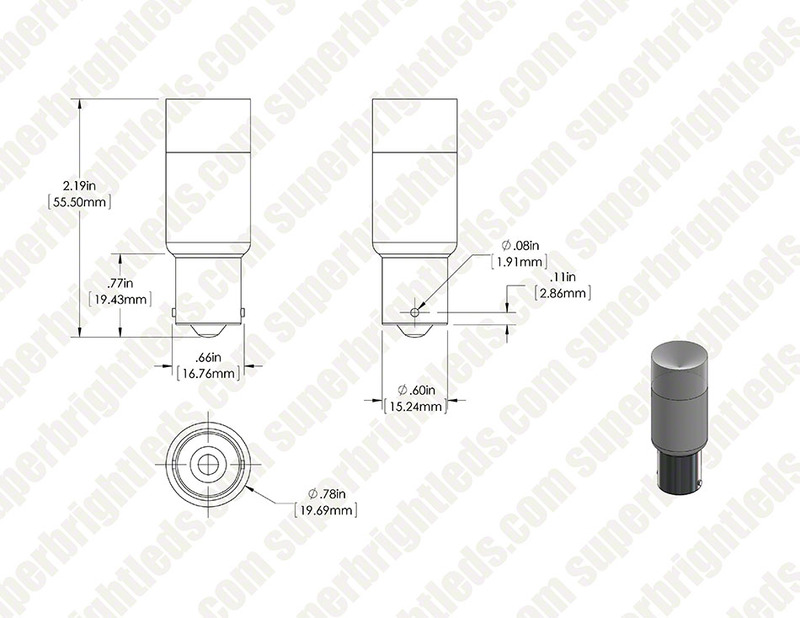 Tower-style design with a BA15S 15-mm ceramic bayonet base withstands high-heat applications. 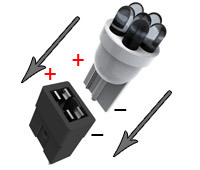 Easy plug-and-play installation—just twist to lock in place. 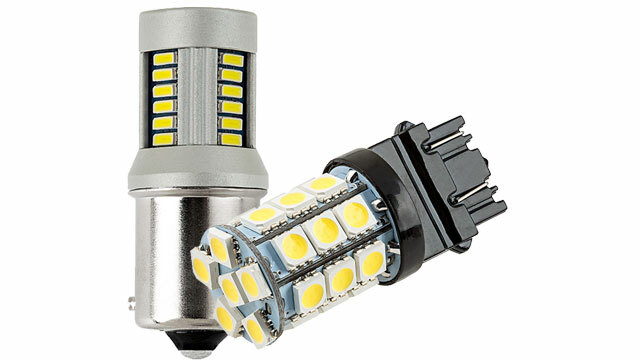 The energy-efficient bulb operates within a wide 10-30V DC range and is designed to last 35,000 hours on your car, truck, SUV, or van—29 times longer than incandescent bulbs. Available in cool and warm white. Not sold in pairs. Price per bulb. 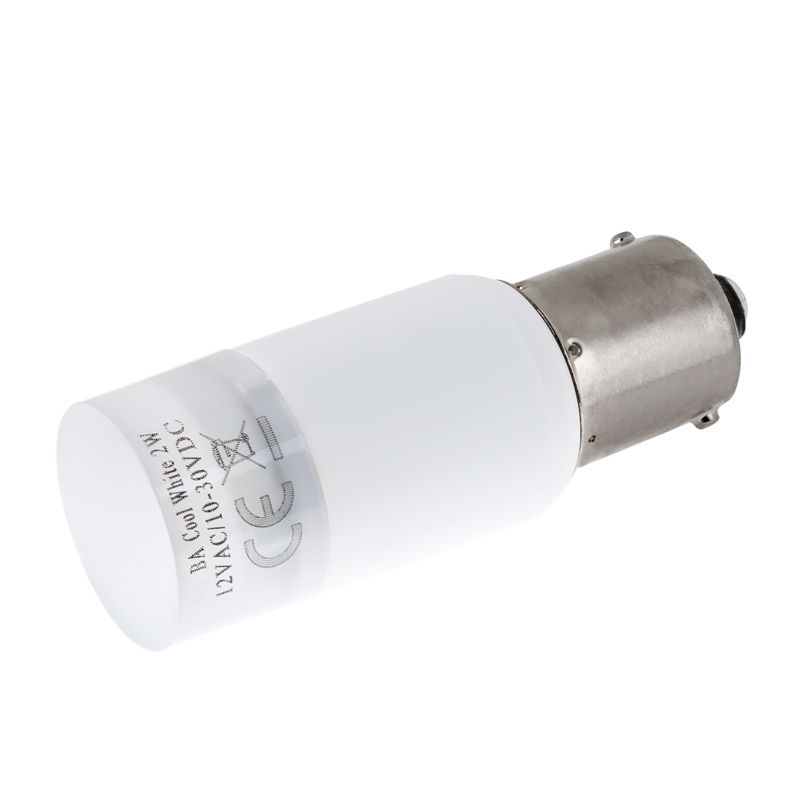 perfect bright light,at great price. 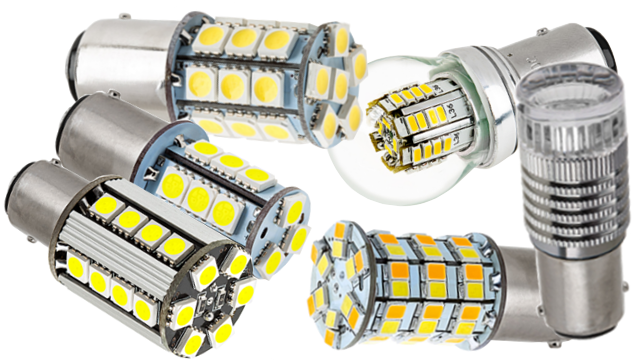 We needed lighting for an older travel trailer.The fixtures were very compact,1156 bases, and led up grade was in order, Your staff suggested these for our need, they fit perfect and light up our old camper like newer models. 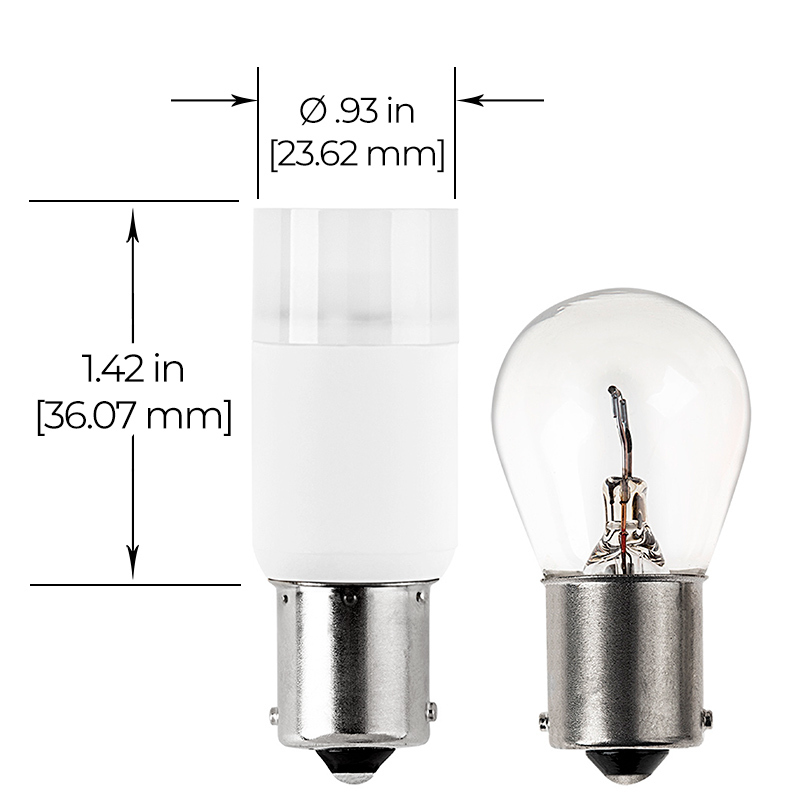 I purchased the bulbs for my camper they work great and save on my battery. I will be buying more to finish replacing the rest. Only issue is cost bit spendy. 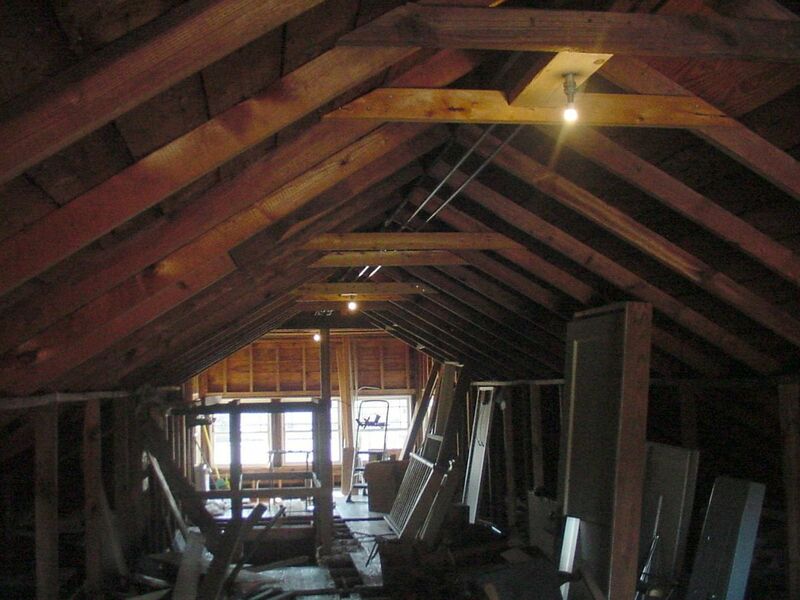 I'm converting all the lighting in my house over to 12 volts for solar power at a later date. And have been rewiring and replacing the AC circuits and lights for a number of years. 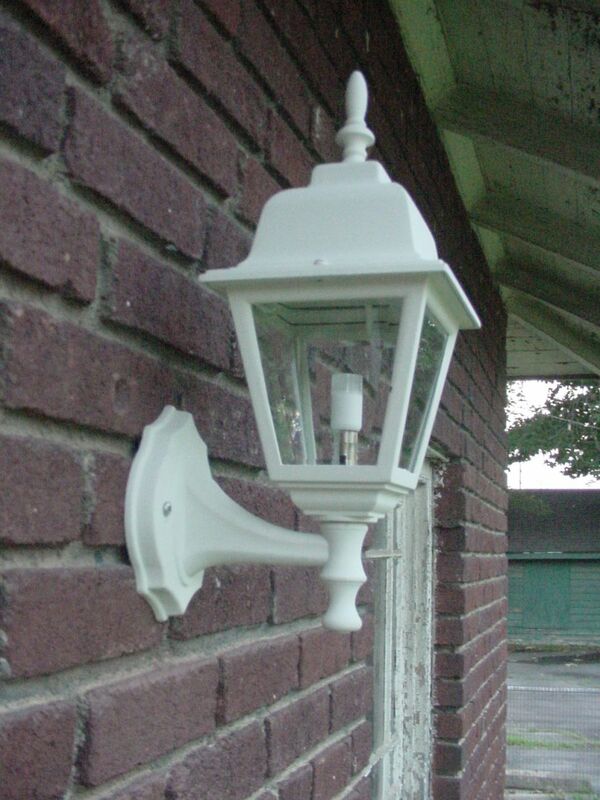 I purchased a number of these LED bulbs for the gas light in the back yard, the new carriage lights on the garage, the crawl space lights, the attic lights, the front porch light and the patio lights. 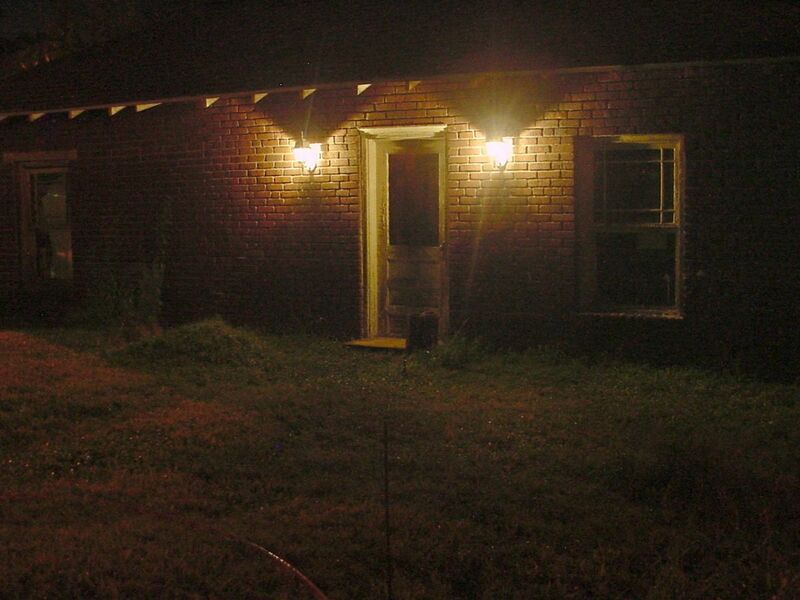 So far I have only finished the attic lights and carriage lights on the garage. 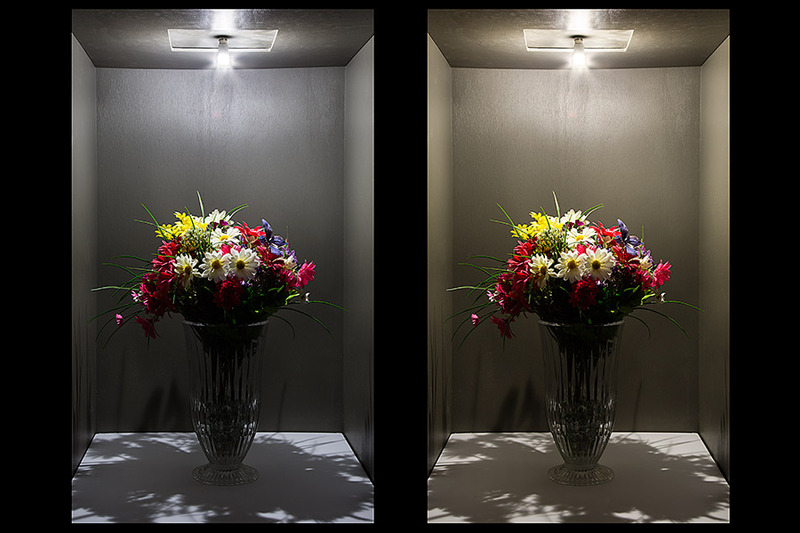 I am so far very satisfied with the color and light output of the warm whites.